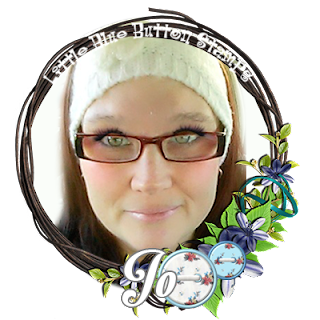 ~Jo's Scrap Shack~: August New Release with Little Blue Button! August New Release with Little Blue Button! So I cut down the image to a 3 by 3 square and adhered it to a piece of 3 1/4 by 3 1/4 piece of garden green cardstock from Stampin' Up. The image then got adhered to a piece of watercolored cardstock that I created. I used my Kuretake Gamsai Tambi watercolors to create the panel and finishing it by adding some splatters. 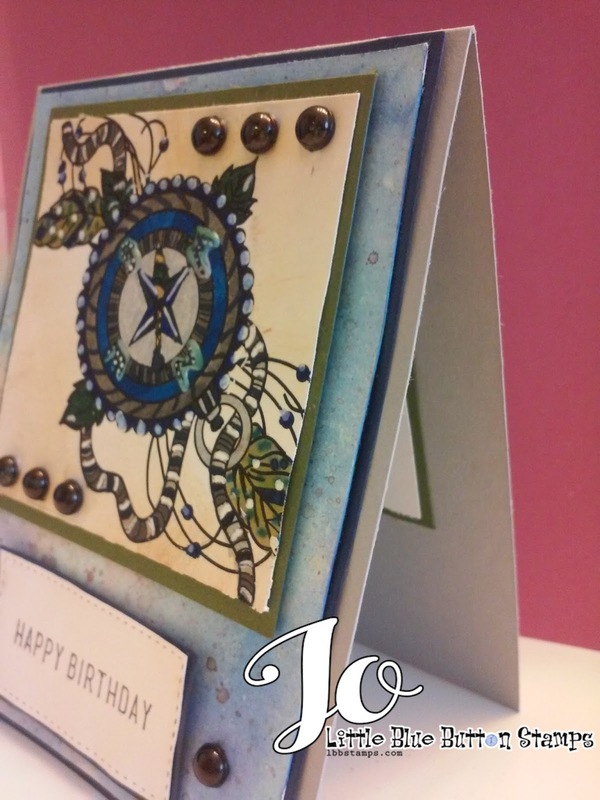 I took that layer and adhered it to a piece of Night of Navy cardstock by Stampin' Up and then adhered that down to my cardbase. The sentiment is from my stash and that was stamped onto some GP cardstock and then adhered to the Night of Navy cardstock. Each were cut out using Lawn Fawn's stitched rectangles dies. To finish off my card, I added some black skittles that my friend Carri sells in her online store!. Well I hope you like it! Thanks for stopping by! 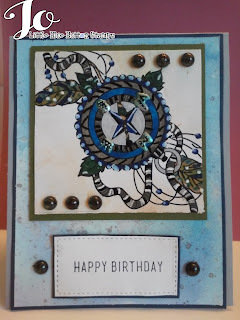 Please make sure to stop by the Little Blue Button Stamps Blog to see what my design team sisters have created for you using the Compass digi and the other new digital stamps from August's new release. If you want to purchase this stamp or any other stamp you may have been eyeing up, just go visit the LBBS Store. 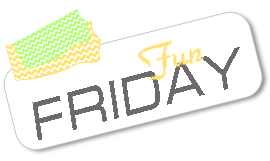 Thank you so much for stopping by today and have a great weekend!!! Jo, your masculine card is fabulous! 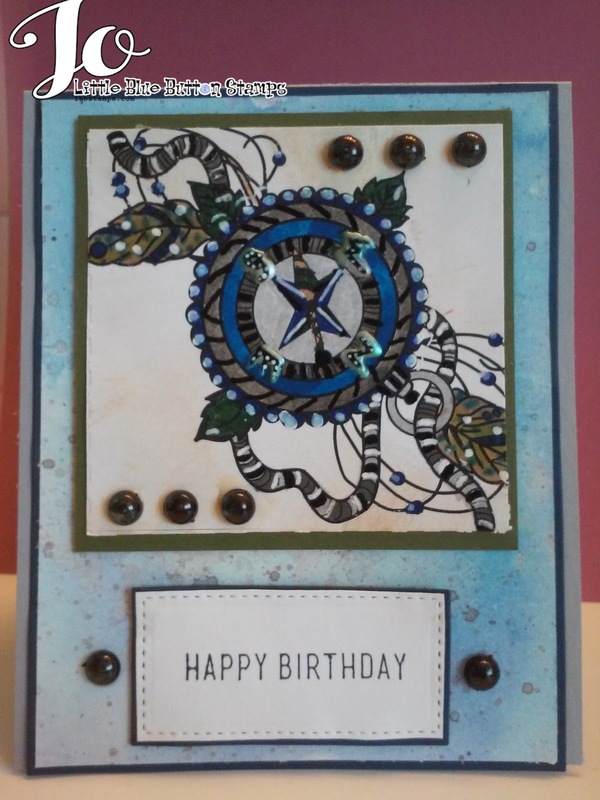 I love the rich blue tones~ The compass looks amazing my friend~your coloring is perfect!! Your design is just beautiful! I haven't made a masculine card in such a long time~probably because they are always a challenge for me, lol! You nailed it! I hope you are doing well and enjoying your summer. I still can't believe we are creeping up on August! Golly, the summer has zoomed by! You card is Awesome!! I always have a hard time making a masculine card and this is so perfect! !Awesome coloring and I love the compass image. Love the pretty skittles!! This is certainly hence attractive, Everyone loves a photo!! You actually dyed them plus specific them beautifully! Everyone loves the setting, very!! Its hence wonderful my best mate!! Everyone loves, enjoy it! Hopefully you sense perfectly plus executing superb. Fabulous - love your compass card - you did a great job! Have a wonderful week!